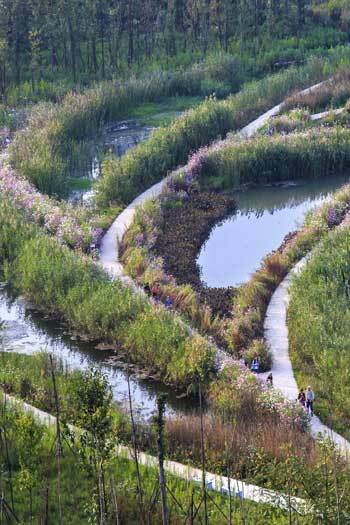 The American Society of Landscape Architects (ASLA) seeks a full-time summer communications intern. The intern will research and update ASLA’s sustainable design resource guides, produce new content for the web site Designing Our Future: Sustainable Landscapes, and write weekly posts on landscape architecture and related topics for The Dirt blog. The intern will research and update resource guides on sustainable transportation, urban development, and other topics. The intern will create new case studies of best practices for Designing Our Future: Sustainable Landscapes. The intern will also create original content for The Dirt, including a weekly series of reviews on new apps and technology useful to landscape architects. Please send cover letter, CV, two writing samples (no more than 2 pages each) to aklages@asla.org by end of day, Friday, March 27. Phone interviews will be conducted with finalists the week of March 30 and selection will be made the following week. The 10-week internship offers a $4,000 stipend. ASLA can also work with the interns to attain academic credit for the internship.